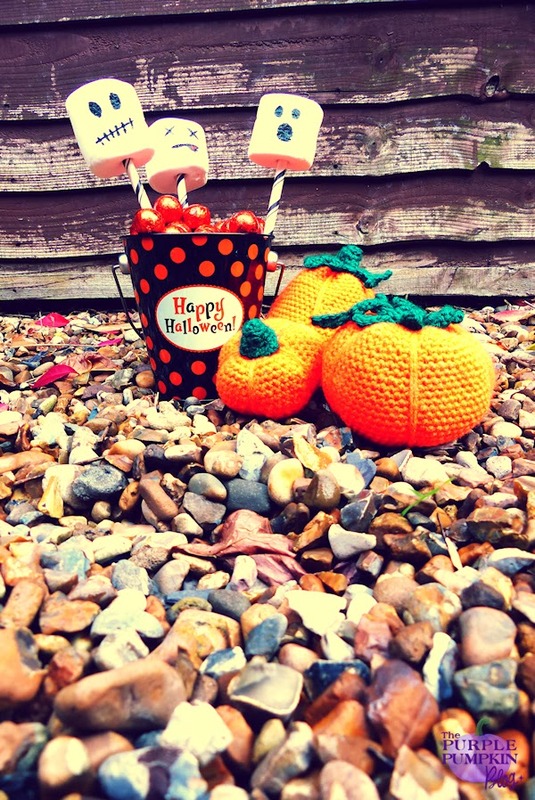 Welcome to Day 4 Crafty October – a month of Halloween ideas at The Purple Pumpkin Blog! Don’t forget to check out last year’s ideas if you need more inspiration. I’ve got my son off school sick, I’ve got hubs not very well, but he did drag himself to work, and I’ve got me, not 100% either, so today’s idea is about as easy (if not lazy!) as they come… Marshmallow Ghosts Pops! 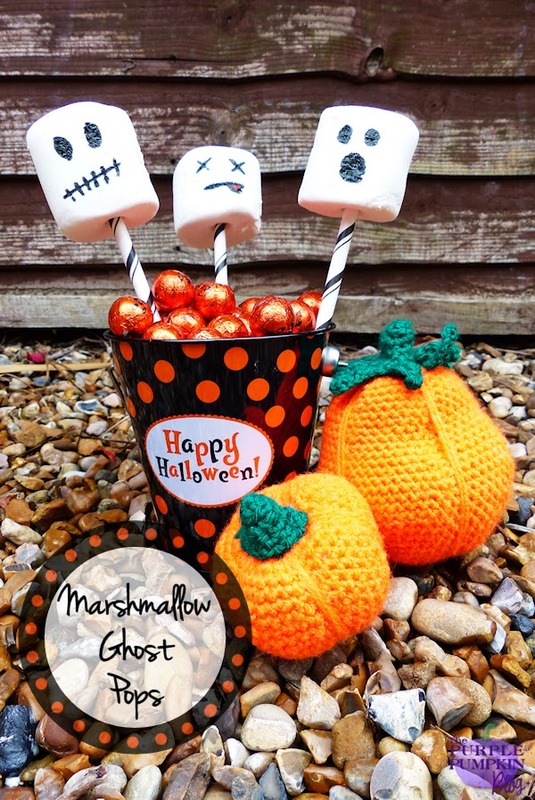 All you need to create these speedy sweet treats are marshmallows, food colouring pen/s and lollypop sticks or skewers to impale the ghosts on when you are done! Draw on the ghosts’ features with the food colouring pen, push the stick or skewer into the base of the marshmallow. Done! I displayed mine in a cute little bucket I bought filled with orange candy, and the pumpkins are ones that I crocheted last year. I like to have a supply of cakey-makey stuff on hand so that if I ever need to rustle something up quickly, I know that I can! Like today, when I didn’t want to let you down and not post an idea, I was able to rummage around (in the boxes of stuff we have yet to unpack!) and find my supplies to make these in just a few minutes! My little one has just found a love of Marshmallows, so these are a great idea for Halloween. Thanks for sharing!